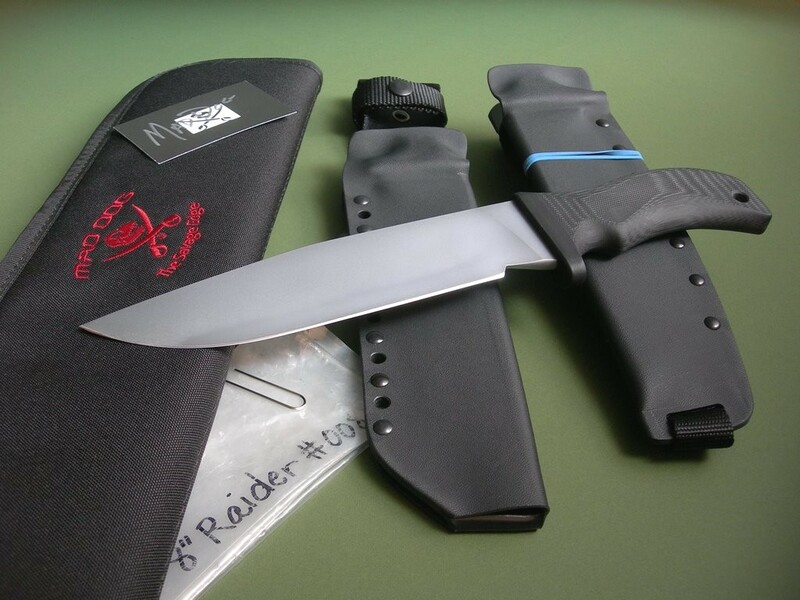 Summary: tucked away in one collection since new, this is one of the ten numbered Raider’s with 8” Starrett 496-01 blade, type 1 choil and black handle. 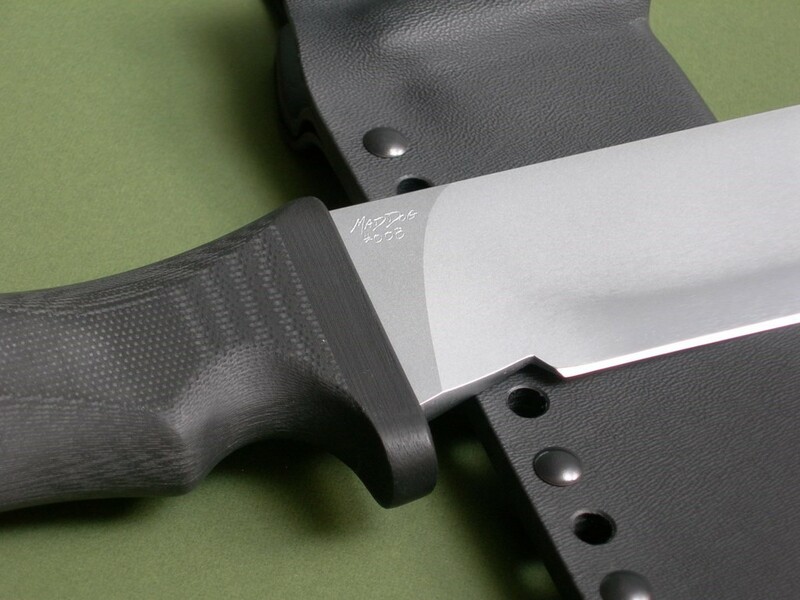 Made from 1/4” stock with the VVTL blade finish, overall length is 13”. 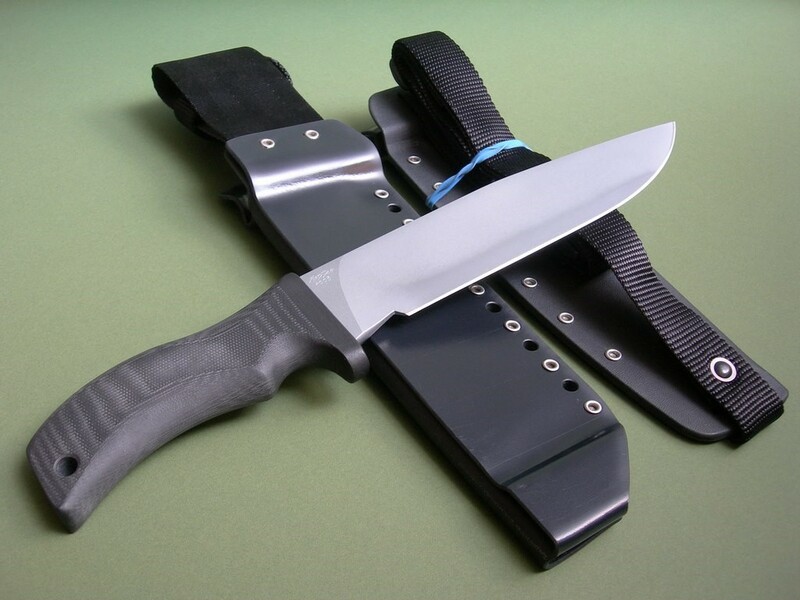 When received, the knife was still in the original plastic with the MD shop grease on the blade!! I cleaned off the grease, original edge and in mint condition. 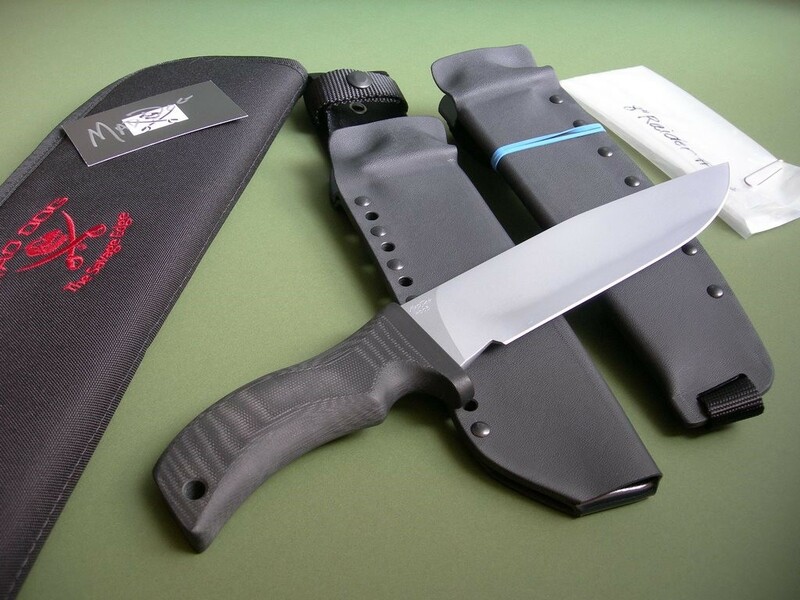 6 photos for review – as shown, a new Mad Dog Knives carry case and original plastic both included. 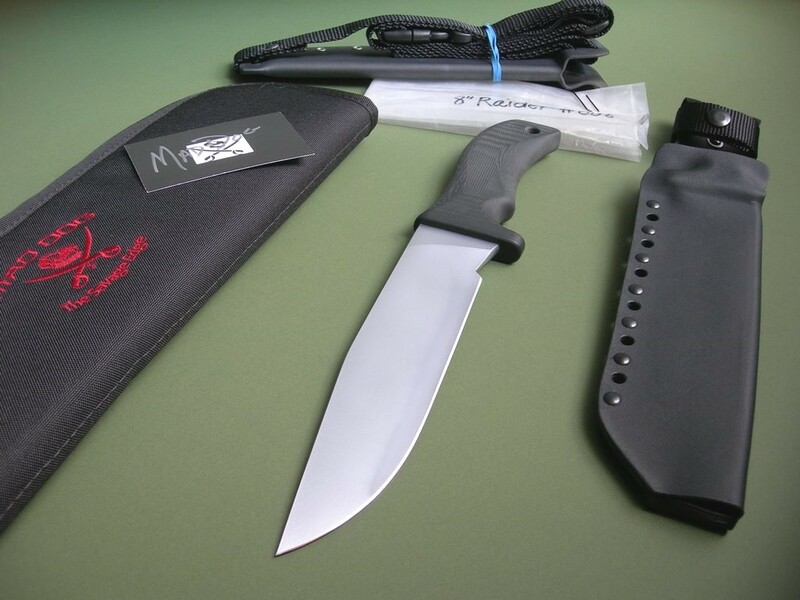 This is a great price on a numbered Mad Dog knife, most know the number 8 is synonymous with prosperity and success in the Asian culture. 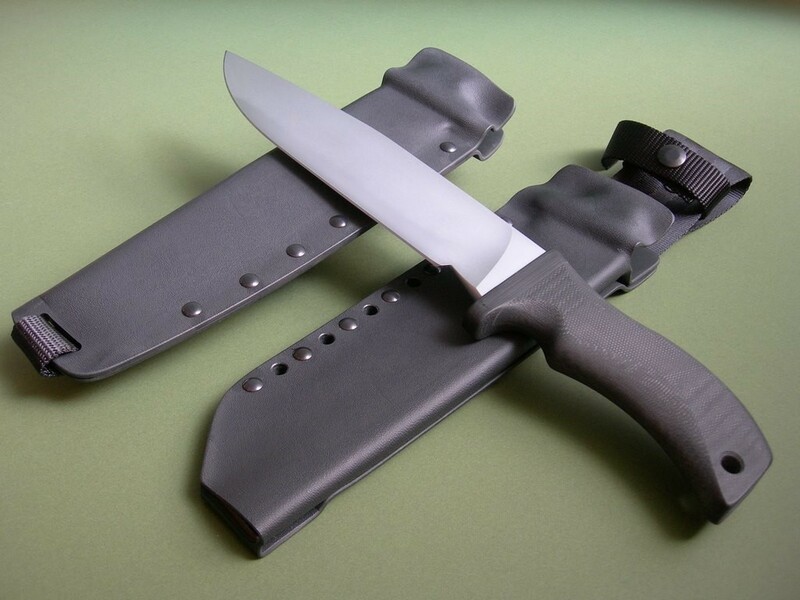 Perfect for collection / investment purposes, quite the rare and hard to find model. Thanks and good luck.